What are they: These large-headed dolls were loved for their soft, huggable bodies and adorable, chubby faces. 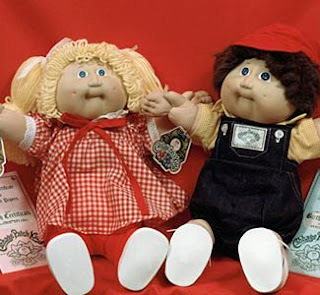 As their popularity grew, the brand expanded from the original line of dolls, adding variants such as Cabbage Patch Preemies and the Splash n' Tan Kids. What is it: This beloved toy is simply a strip of thin plastic that, with the help of a garden hose and a sloped backyard, becomes a thrilling water slide for those hot summer days. 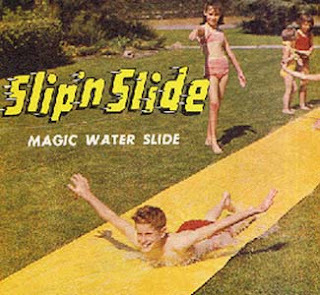 The Slip 'N Slide remains popular, though it has caused concerns over safety. What are they: Based on a Japanese anime TV series, these small spheres started a Pokémon-style craze in 2006. 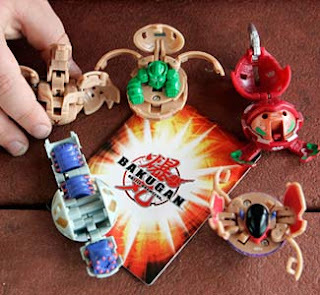 When opposing Bakugan spheres pop open on the same "gate card," the fight is on for ownership of the card. 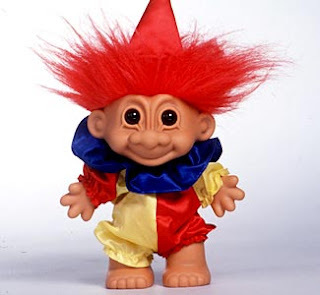 What are they: With their wrinkled faces, gravity-defying hair and mischievous grins, these small plastic dolls have experienced several spurts of popularity, in the '60s, '70s, '80s and '90s. 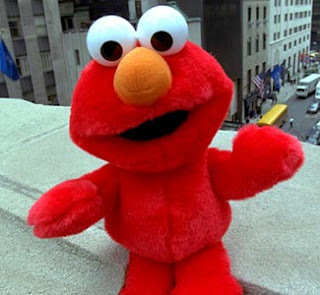 What is it: Not your average stuffed animal, this lovable Sesame Street character giggled when you squeezed him and quickly became the must-have toy for Christmas 1996. 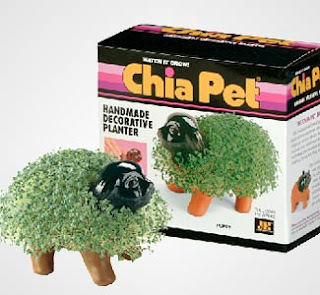 What is it: This botanical toy, marketed as "the pottery that grows," was a must-have item in the '80s, but has remained in business by adding new characters to its product line, such as Chia SpongeBob and Chia Shrek. 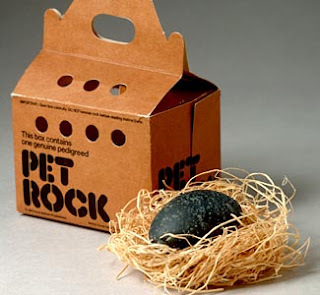 What is it: The gimmick of all gimmicks, this low-maintenance toy was exactly what its name implies: a rock in a cardboard carrier case, complete with breathing holes and some straw to cushion it. 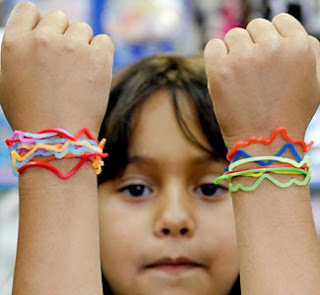 Though the fad lasted for less than a year, it made the man who created it a millionaire. What are they: These cuddly stuffed animals come with a secret code that grants their owners access to the exclusive Webkinz website. 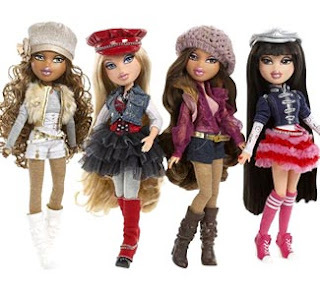 The toys became a quick hit with today's Internet-savvy children, earning the company millions. 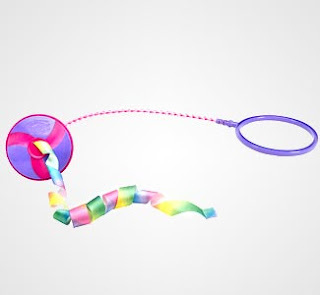 What is it: Similar to this classic toy, the Skip-It combined exercise with fun. The hit toy was a plastic ball with a belt that looped around the ankle to be swung around and skipped over. In the '90s, a counter was added so you could keep track of your skips. What are they: These keychain buddies were the hot fad in the mid- to late '90s. 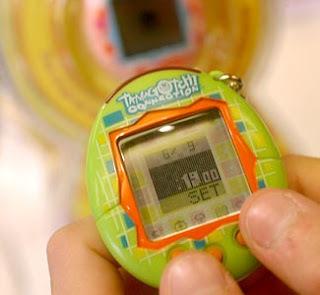 Whether it was a Giga Pet, a Nano Baby or a Tamagotchi, kids had to remember to feed their virtual friend and make sure it got lots of rest. What is it: One of the stranger toy fads, Furbies resembled a furry owl and spoke their own unique language. 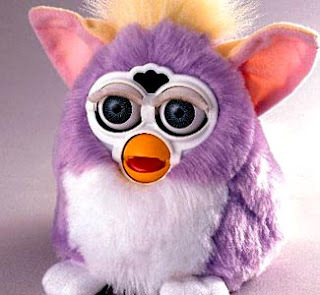 Furbies were supposedly able to learn English as they grew and matured. 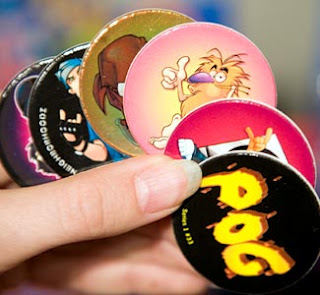 What are they: During their peak in the '90s, this collector's game entertained kids and annoyed teachers across the world. 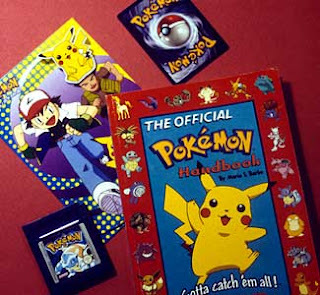 The small discs came in many different varieties, including a set inspired by this popular TV show. What are they: This range of bean-filled stuffed animals became a worldwide hit and a much buzzed-about collector's item in the '90s. 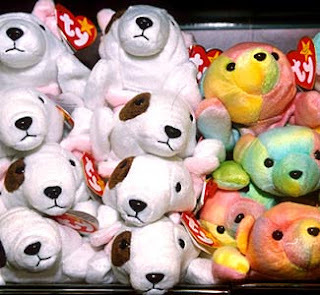 Each Beanie Baby had a name, such as Legs the frog, Bam the ram and Princess, the bear who was created in memory of this royal. 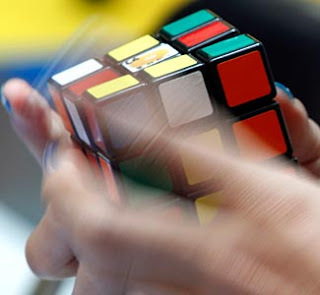 What is it: This classic toy flew off the shelves when it was first released in 1945 and has remained popular ever since. 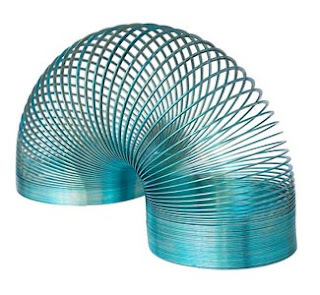 There are several variations of the coiled toy, such as a range of colourful plastic Slinkys and the Slinky dog. 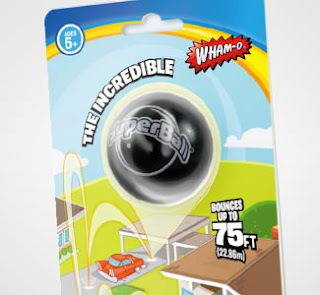 What is it: This rubber sphere was coveted for its incredible bounciness and became an instant hit among adults and kids alike. The ball, produced by this toy company, is made by compressing a rubber-like material under extremely high pressure. 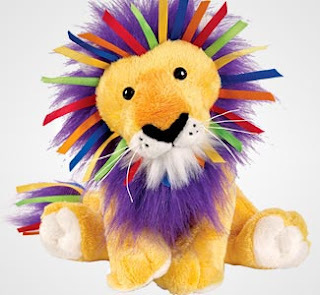 What is it: This popular toy has been traced back to ancient times, but it reached fad status in the late '50s. 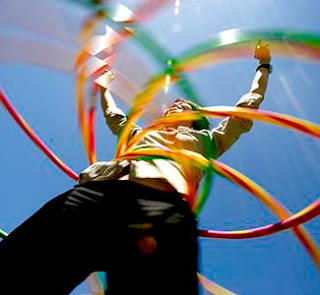 The hula hoop is now commonly used in circus acts and has even inspired its own genre of dance. 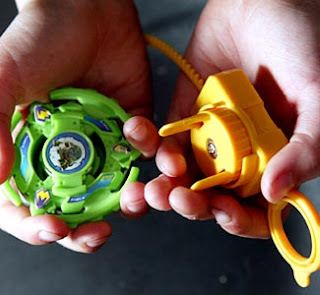 What are they: This spinning toy, which was inspired by this TV series, looks like what you'd get if you combined a zip tie with this classic toy. The show also inspired a popular video game. 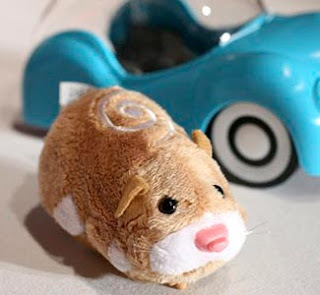 What are they: These active, robotic hamster toys were the must-have toy of 2009 and have remained popular with the release of new characters, such as the Rockstar Pets. 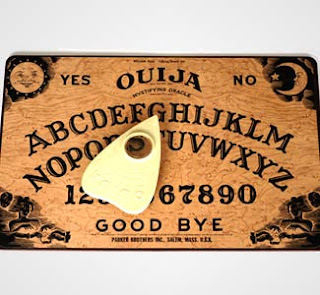 What is it: Patented in the late 19th century but most popular in the '20s and '60s, this spooky board game is supposedly a tool for contacting the dead. Though the board has been the subject of controversy, it remains a popular game today. What is it: Though the yo-yo goes as far back as 500 B.C., it did not gain modern popularity until 1928 when the Yo-yo Manufacturing Co. opened in this sunny state. 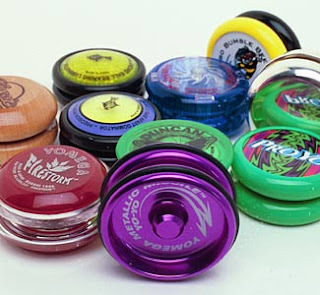 Yo-yos experienced a resurgence in the '90s with the creation of this technologically advanced model.